Term 3 starting 15 August 2017. This Kiwi field trip will see you actively involved in the process of saving the North Island brown kiwi! You will travel deep into the Karioi Rahui Forest to lift an egg from a kiwi nest. Then you will carefully transport it all the way to the kiwi incubation facility and hatchery at Rainbow Springs' Kiwi Encounter in Rotorua. With whiskers like a cat, a sense of smell like a dog and feathers like fur, our kiwi is a unique bird! But with an average of 27 killed each week by predators, our kiwi is under serious threat of extinction. During this field trip you will work alongside DOC staff and the team at New Zealand's largest kiwi hatching facility, to help save the North Island brown kiwi. Despite being wrapped in mattress-like foam and other cushioning, kiwi eggs sometimes crack while being transported out of the forest on quad bikes and 4WD vehicles. We need a better way to protect the egg during transportation. Can you design a solution? Get your class together and come up with your own plan of how to protect the egg during transport in a vehicle. Further details will be in field trip newsletters and on the field trip web site. Tongariro Forest in the central North Island is part of Operation Nest Egg and the Kiwi Recovery Plan. The conservation strategy for Tongariro Forest is to promote it as a forest of the future, by allowing the forest to recover to a natural state. The area has native and exotic trees and has been logged in the past. 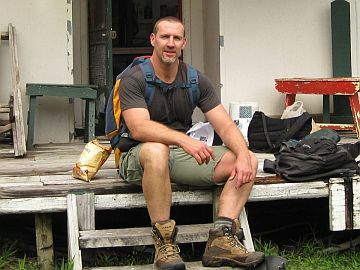 It has one of New Zealand's largest brown kiwi populations and, although the whole forest is a kiwi sanctuary, it is still open for human activities such as mountain biking and pig hunting. Kiwi populations provide a good indicator for stoat, ferret, dog and cat impacts. 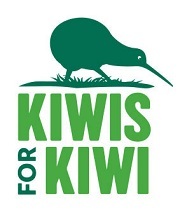 Kiwi, as an important icon for all New Zealanders, provide a way of promoting issues that affect the entire forest ecosystem.